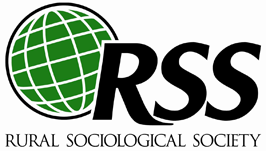 To expand the knowledge of rural sociologists through interactions with scholars and organizations serving rural people and places throughout the world. This includes comparative and theoretical work informed by the diverse scholarship and histories of rural areas in all countries. Our work includes understanding the complexities of international migration flows, the situations faced by refugees, poverty and inequality, health, sustainability, development initiatives, and the policies and practices that enhance people’s lives.